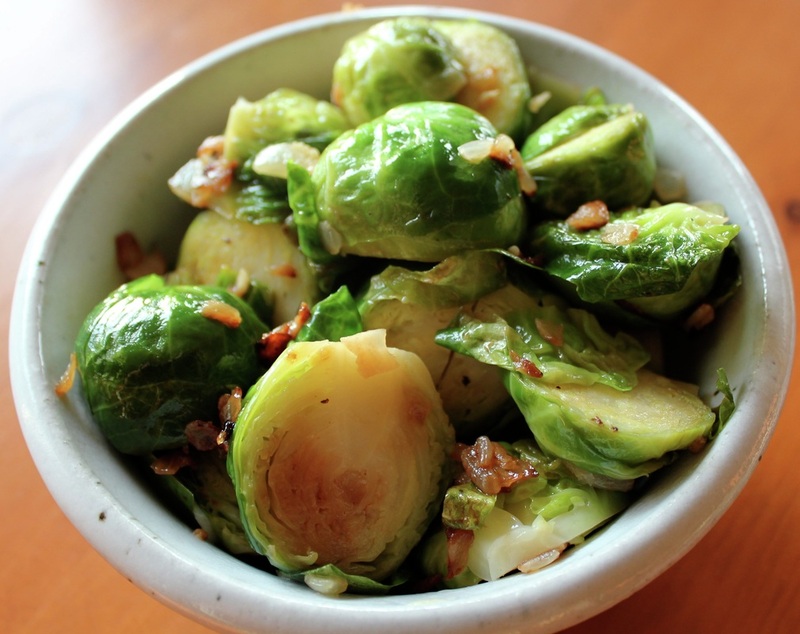 Lightly flavored and fresh tasting Brussels sprouts are easy to make in this wholesome recipe. Place steamer basket in saucepan with about 1-inch of water. Wash, trim stems, and cut sprouts in half. Steam, covered for 15 minutes or until tender. Drain sprouts and set aside. Heat a saucepan over medium-high heat. Add the oil, swirling to coat pan evenly. Saute the onion and garlic until golden, add sprouts, stirring until slightly browned. Stir in lemon juice, mixiing well before serving.